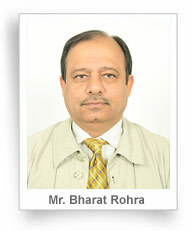 Mr. Bharat Rohra is an astute power sector professional with a rich experience spanning over 38 years. Mr. Rohra is amongst the highly experienced power sector professionals with proficiency in diverse areas including Design, Contracts and Project Management of mega Power Plants, Steel Plants, Transmission Lines and Sub-Stations. A civil engineering graduate from Indian Institute of Technology (IIT) Delhi, Mr. Rohra joined leading public sector unit National Thermal Power Corporation (NTPC) as an Executive Trainee in 1979. At NTPC, he worked in various capacities in Engineering and Project Management functions. After a stint of 25 years, he moved to Power Grid Corporation of India Limited (PGCIL) where he looked after engineering for various types of sub-stations and transmission lines for over 4 years. Mr. Bharat Rohra joined Jindal Power Limited (JPL) in February 2009, and was instrumental in setting up of the 2400 MW expansion project of JPL at Tamnar, Chhattisgarh. The power plant was completed and commissioned in a record time, well within the original project costs and won many laurels. Mr. Hardip Singh Wirk, 41 years, is an independent Director on our Board. He holds a bachelor's degree in law from Delhi University. He has experience of over eleven years in the legal advisory field and has handled various cases in the Delhi High Court, Company Law Board, Consumer forum and Supreme Court of India. 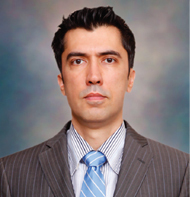 He has specialized in foreign investments, real estate and general corporate advice. 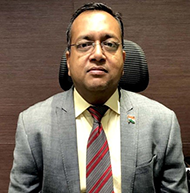 He is also an independent director on the board of one of our Promoters, Jindal Steel & Power Ltd.
Mr. Sudershan Kumar Garg holds a Bachelor’s Degree in Commerce from Shri Ram College of Commerce and is a Chartered Accountant by profession since 1973. He has 42 years of varied experience in the field of Oil & Power. He has worked with Indian Oil Corporation Limited for 29 years and has acquired rich experience in Finance, Marketing, Pipelines, Excise & Customs, Oil Pricing etc. He was Executive Director (Finance) in Indian Oil Corporation. He joined the Board of NHPC Limited (A Govt. of India enterprise) as Director (Finance) in 2003. In October 2005, he was appointed Chairman and Managing Director of NHPC and NHDC Limited (a subsidiary of NHPC) and served at these posts for more than five years till his superannuation in December 2010. He was also the Chairman of Loktak Downstream Hydroelectric Corporation Limited. Under his able guidance, NHPC was conferred with ‘Mini Ratna Category – I’ status by GOI. He was instrumental in commissioning five hydro-electric power projects in the country with an aggregate installed capacity of 1820MW. Under his leadership, NHPC got several new hydro, thermal and wind power projects. Net profit also increased from Rs. 510 crores in the year 2002-03 when he joined on the Board of NHPC to Rs. 2091 crores during the year 2009-10. As Chairman and Managing Director of NHPC he was involved in business process re-engineering and restructuring, expansion of business, IPO of shares etc. He successfully brought maiden IPO of NHPC which was oversubscribed by 24 times in 2009 and also introduced enterprise resource planning (ERP) in the company. He was also on the Board of International Hydro Association (IHA). He is a senior partner in M/s Apra and Associates, Chartered Accountants Firm.He is an Independent Director on the Board of Jindal Steel & Power Ltd., Jindal Power Limited, EtalinHydro Electric Power Company Limited and Kamala Hydro Electric Power Company Limited. He is also Chairman of Governance and Business Ethics Committee of Jindal Steel & Power Ltd. and Chairman of Corporate Social Responsibility Committee of Jindal Power Ltd. 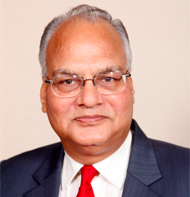 He was conferred with ‘Lifetime Achievement Award’ by the Institute of Economic Studies in 2010, ‘CA Professional Manager’s Award’ in personal capacity by the Institute of Chartered Accountants of India in 2008, the ‘SRCC Alumni award’ by Shri Ram College of Commerce in 2009 and ‘CEPM – PMA Honorary Fellowship Award’ by the Centre for Excellence in Project Management (CEPM) and Project Management Associates apart from getting several other awards. He is the Chief Advisor to M/s AstrazurePrivate Limited dealing in training and human resource solutions. Institute of Directors haveconferred “Golden Peacock National Training Award”to M/s Astrazure Private Limited at Dubai. He has widely travelled both within India as well as abroad and gained rich experience in oil and power sectors. Mr. Gautam Chandra is Whole-time Director of the Company. He is a Mechanical Engineer (from B.I.T. Mesra) with P.G. Diploma in Management, having rich experience of 38 years in Project development, Power Station Operations, Maintenance, Commissioning, Plant performance, efficiency management and Regulatory affairs. Starting his professional career with NTPC Limited in 1979, he has served NTPC for over 28 years in various capacities. During his stint of 28 years with NTPC Ltd., he was responsible for implementation of thermal power stations, operation, maintenance, Commissioning, Efficiency management and build up systems of Operation & maintenance management. He has also worked in Contracts management and dealt with Regulatory affairs for quite some time. Mr. Gautam Chandra joined Reliance Infrastructure Limited as Vice President and worked as Project Manager of Raghunathpur Project & as Head of Commissioning of Hisar Thermal Power Project of 2x600MW in April, 2008, and was responsible for coordinating engineering, project management and construction functions of the project from Head Office and Commissioning from Site. He had also worked with India Power Corporation Limited as Chief Operating Officer from May 2010 till January 2013 & was responsible for setting up of 3x150 MW coal based plant at Haldia, West Bengal. Mr. Rajeev Jain aged about 46 years, is a qualified Chartered Accountant and Cost Accountant with rich experience of 23 years. He graduated in Commerce from Delhi University in 1993. He Joined Jindal Organization in May 2004. Prior to joining us, he had spent 5 years with IFCI Ltd., a financial institution. He has a proven track record in the arena of fund raising, financial services, Project financing, cash management and Investor Relations.